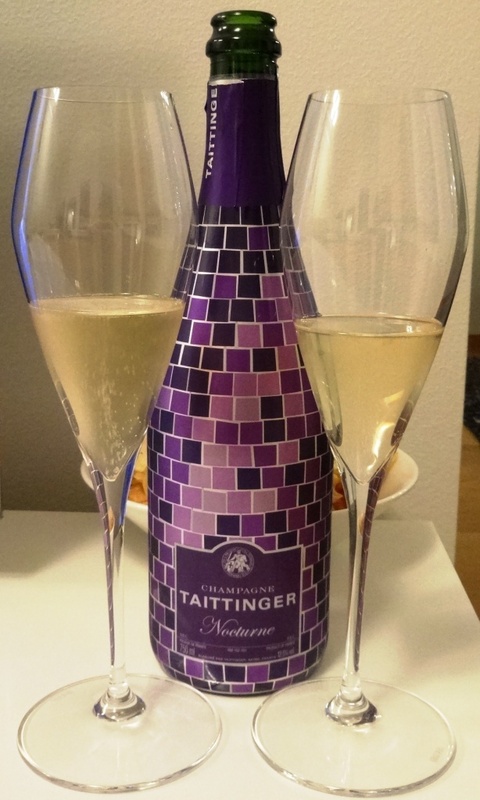 Taittinger Nocturne is a “sec” champagne composed of chardonnay (40%), Pinot Noir and Pinot Meunier (60%). Taittinger suggests that Nocturne should be enjoyed at the end of evening. That is partly because of amount of sugar, 17.5g/l dosage of sugar, which might be needed in the wee hours. Champagne for parties? Let’s taste! However, we decided to taste Nocturne in the evening on Finnish Independence Day, but not at the end of the evening. Did it make any difference? Tasting from Riedel Vitis champagne glass. Had enjoyed one tasting glass earlier in the afternoon, when we participated at Wine, food & good living fair in October and then it did not taste as good as we hoped. Wine was also a little bit warm at that time. 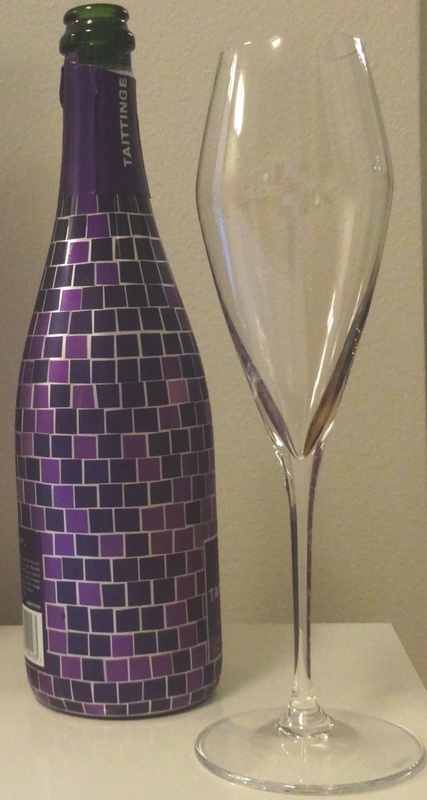 The design of the bottle is elegant and colorful purple. There is also standard bottle available but I would choose this special release. The body of the wine is pale yellow in color. Rich amount of small bubbles makes you desire to taste before sniffing. Amount of sugar is noticeable, but when wine is enough cold, it does not bother too much. Taste is balanced and stylish. 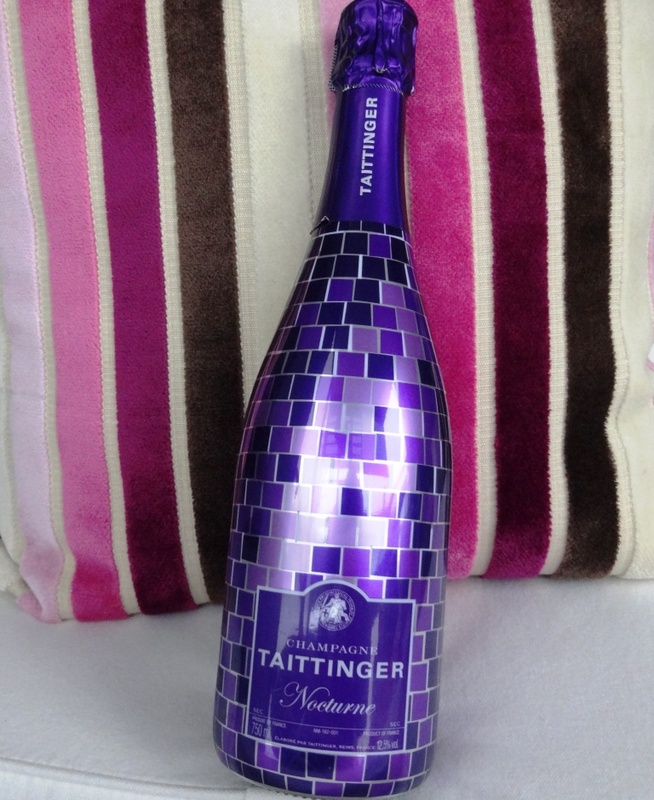 Taittinger Nocturne is champagne for special occasions especially if you do not like too dry (brut) champagnes. Cool it enough cold and you do not even notice the sweetness. Fabulous and happy Independence Day! Not a huge fan of sec but ice cold I’m sure it can be a special treat. Those glasses are to die for! Asking for them for Xmas. Cheers! Must be really chilled! Cheers!